Why aren’t all vitamins made using liposome technology? Depending upon ingredients and encapsulation methods used, they can also trigger an immune response (rejection) by white blood cells before the active nutrients can reach the blood stream. Vitasome® raised the bar in liposome technology. 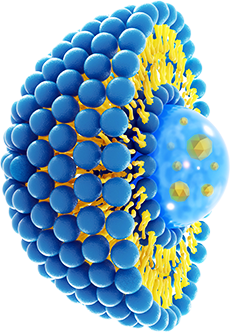 Vitasome® has refined the science of liposome technology and set higher standards for the vitamin industry with its patented liposome encapsulation methods. Vitasome’s® entirely new line of liposome supplements provide unprecedented nutritional value that “Gets In” with superior absorption and “Stays In” to deliver vital nutrients to your cells where they’re needed most. Vitasome technology is protected under USPTO Patent #9,585,417. Unlike most vitamin products on the market today, Vitasome® makes its nutritional supplements in the form of a delicious powdered drink mix using its proprietary liposome encapsulation method. Vitasome’s® nutritional supplements are among the most bioavailable on the market today. Size matters. Our liposomes are nano-sized ≤ 200nm. This means Vitasome liposomes have increased surface area to deliver nutrients to the cellular level where they’re needed. When the liposomes are hydrated, their outer membranes of lipids spontaneously create a protective shield to seal in active nutrients, which prevents degradation by digestive acids and extends what is known as a “half life” or the length of time an active ingredient remains potent on a cellular level. Vitasome® uses a clean-room environment to spray-dry the liposomes into a water soluble powder to offset “hydrolysis,” a common problem with liquid based liposome supplements that limits a product’s shelf life. Additionally, Vitasome further enhances stability and increases shelf life by packaging the liposome supplements into single-serving sachet packets, which remain sealed and protected until use. Vitasome’s® patented liposome technology was invented by Founder and CEO, Jim Yiannios, who set out to solve the problems of wasted nutritional value and limited bioavailability, which are common to most vitamins on the market today. Vitasome® products were developed in partnership with a team of renowned doctors and scientists. Vitasome’s® clinical advisory board has an international footprint and affiliations with board members of the National Institutes of Health. 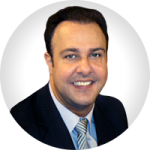 Read more about the company on our about us page. Vitasome’s® patented liposome technology eliminates most problems that are common to most nutritional supplements on the market today. Current trends show that most consumers are tired of swallowing a large number of traditional pills and capsules, which are usually bound by ingredients that are bulky and diminish bioavailability. This problem, often caused by additives used to encapsulate or bind nutrients, is especially prevalent in powdered vitamins made with drying processes that expose the unpleasant taste and odor of actives. Liposomes are difficult to make correctly. Some oxidize before reaching consumers. Others disintegrate in digestive acids or lose potency before they can be absorbed. According to the Physician’s Desk Reference, an average of between 82 and 90% of nutritional value of most common vitamins is wasted1 — meaning that most nutritional value, and money spent, is literally flushed down the toilet. Liquid and gel liposome supplements begin to lose potency once opened, and in dry form, pills and capsules begin to oxidize once they are opened and exposed to the air. Vitasome’s® technology allows for nano-sized liposomes that significantly improve absorption rates and bioavailability on the cellular level. Vitasome® offers the only liposome powder supplement on the market that can mix in water or juice, which makes it easy to drink and facilitates superior bioavailability. Vitasome® uses all-natural flavoring with no artificial additives and locks nutrients that cause unpleasant odor and aftertaste inside a double layer membrane of lipids. Vitasome® supplements taste great! Vitasome® has developed a cost effective way to produce stable liposomes that efficiently deliver high nutritional value at an affordable price. Vitasome® incorporates “Stealth” barrier coatings to ensure its supplements are protected from the moment they enter the digestive system till they reach the cells where they’re needed. Studies show that white blood cells can prevent absorption of vitamins,3 which is why Vitasome utilizes barriers coatings in addition to all-natural ingredients and bio-identical phospholipids that facilitate absorption on the cellular level. Vitasome’s liposome supplements are the first offered in a dry powder drink mix. Each single serving is individually sealed in its own sachet packet, which extends shelf life, keeping them fresh until used and convenient for travel.